Book an apartment with a group and spread the cost even more! 4-6 of you staying? It could cost you each about £20 a night! Our luxury serviced apartments in the heart of Hemel Hempstead are perfect for those looking for excellent value accommodation but who are simply not prepared to compromise on quality. But what you might not realise is how much you could be saving when you stay in a group. If there is 4 to 6 of you staying in one of our spacious apartments, splitting the cost between you may mean that it’s only around £20 per night between you. If you compare this to a hotel where you may need 2 or 3 separate room, then not only are you benefitting from all the amenities but also the savings. Simply put, why stay in an impersonal hotel room when you could have your very own luxury apartment from just £105 per night? With one-bedroom apartments sleeping up to four people that means you could stay in the height of luxury for just over £25 per person per night. 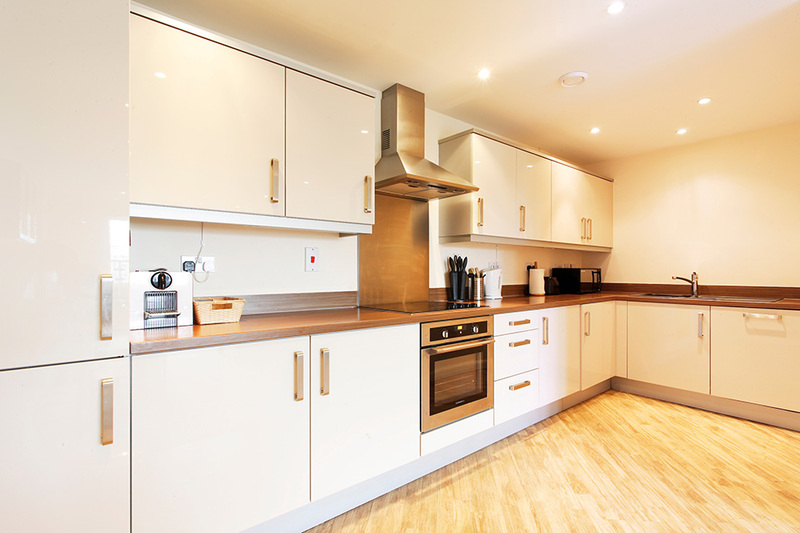 All our apartments feature luxury kitchens, living areas and separate bedrooms and are available from one night to several months. The longer the stay, the greater savings on cost too. They are also popular with business travellers and visitors alike who are looking for a home from home whilst working or socialising in this welcoming Hertfordshire town. If you don’t fancy eating out every night you can rustle up something yourself or ring for a takeaway. Then put your feet up and enjoy a DVD, your favourite television show or a good book in peace and quiet. So if you are looking to save money and can’t face returning to a bland, poky hotel room after a hard day’s work or sightseeing contact us now and see what great deals we can offer you.